Former presidential candidate Martin O’Malley speaks to students about Donald Trump’s presidency and political engagement in Cahn Auditorium on Monday. The event was hosted by College Democrats. Former presidential candidate Martin O’Malley spoke about the current political climate and lessons he learned from his 2016 candidacy in a Monday event sponsored by College Democrats. About 90 people attended the event at Cahn Auditorium, which featured Washington Post columnist Eugene Robinson. He said the younger generation represents the good within the country and can shape the future. O’Malley said young people’s concerns about climate change and health care are indicative of coming reform. O’Malley said there is now a “constitutional crisis,” and he hopes the situation will improve following the 2018 midterms. The best strategy for Democrats to win, O’Malley said, is for candidates to be authentic. He added that younger voters may be disillusioned with politics, but they should vote because they are citizens of the most powerful country “at the most critical time in the history of the planet.” O’Malley also said political activism threatens dangerous ideologies, such as fascism. Communication junior Abrahm Oxley-Hase, who attended the event, told The Daily he enjoyed the talk because it covered local elections. He added that he wished O’Malley discussed political issues like gerrymandering. “It was kind of nice to hear some optimism in a time that’s been largely dominated by pessimism, especially by liberals,” Oxley-Hase said. After speaking, O’Malley answered questions about Democratic Party leadership and youth voter turnout. Weinberg freshman Cameron Cook asked the former governor how Democrats can balance the interests of voters of different races, but was unimpressed with O’Malley’s response. “He sort of said, ‘We should meet everyone where they are,’ and that seems a little oversimplified to me,” Cook said. 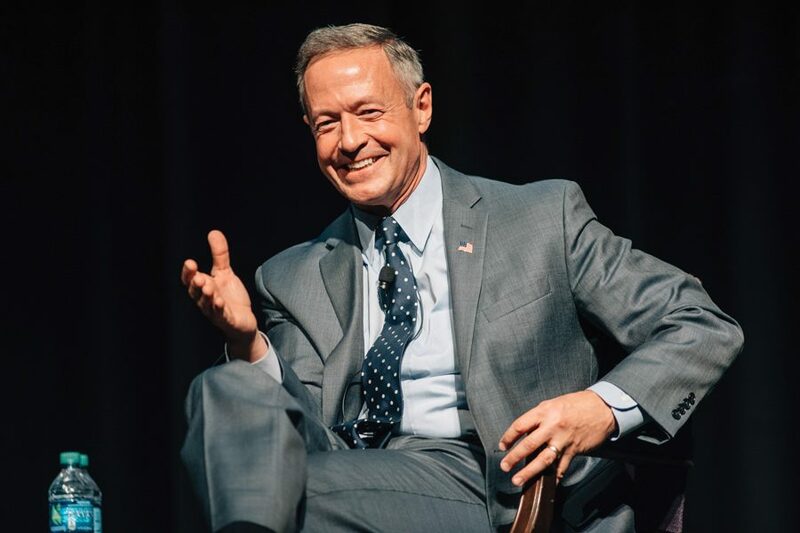 O’Malley encouraged students to volunteer for the Democratic Party by canvassing and helping at events, emphasizing that Trump’s presidency will spur change. O’Malley stressed the importance of caring, talking to people and treating others with respect while campaigning. Going forward, he said, he expects many young people and new faces to run for office.